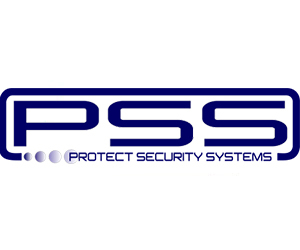 PSS Global provides an alternative solution. Our products transform glass, giving the vital seconds that save lives. Lightweight and thin, our products can be fitted to new glass and can be retrofitted to existing glass providing rapid and economical protection. In the face of firearms attack, unprotected glass is a point of weakness. Countering firearms attacks with bulletproof glass isn't always feasible because it is very expensive, extremely heavy and older, traditional buildings may not support heavy pieces of bulletproof glass. Our Advanced and Elite products have achieved equivalent certification to a range of Worldwide Ballistic Standards. We have invested heavily in creating standards for our products. Our ballistic products have been tested at an independent UK ballistic test centre to equivalent Worldwide Ballistic Standards. PSS are the only window laminate company in the world to receive ballistic certification. In the event of an explosion up to 95% of injuries result from flying debris caught up in the blast envelope. Amongst this debris, shattered window glass is the most lethal component. PSS Excel and Elite laminates are all certified to resist explosive threats. They provide a layer of resistance that is cheaper, lighter and easier to fit than traditional, expensive blast resistant glass.